While many of Revit’s site tools can be disappointingly limited (or even nonexistent), planting plans are one of the things that make the program worthwhile. Planting plans can get very intensive, so I’ve broken them down into three levels of complexity, starting with the most basic, which can be done with standard, out-of-the-box Revit. The most basic planting plan is done by placing individual plants, tagging, and scheduling them. The default Revit plant famillies are RPC. I have heard some complaints about this, since some people prefer actual 3D trees, but from my experience 3D trees bog programs down quickly, so I am quite fine with them and we use RPC plants for all our individual plants. This is what the default red ash looks like, in realistic and ray trace mode. Obviously my Type needs to be renamed, but you get the idea. The same can also be applied to Tags. There are only two instance parameters to choose from here: Mark and Comments. I prefer to use Comments for actual comments, but Mark will give you annoying errors when there are duplicates. Either could be used. Have you managed to get tags to rotate with component? e.g. a planting tag on a hedge should follow the run of the hedge. I can only make them go horizontal/vertical, even when “rotate with component” is ticked in the Family Category settings. It does seem like rotate with component does not work for Plantings. I’ve never looked into this, since we never rotate our plant tags… but I’ll see what I can find. 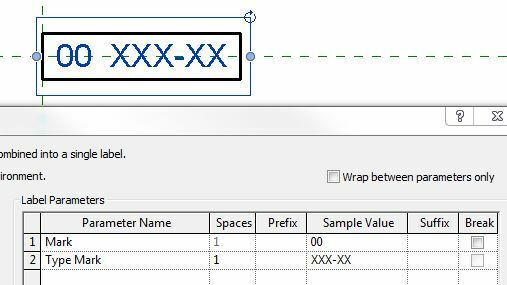 Have you been able to expand Revit capabilities and get the tag to document one hatch as a seed mix? In turn, listing out a series of plant species and a quantity for each item per single hatch? e.g. For something like that to work I guess it would need to calculate the area and then a percentage of each species would need to be entered by the user in order for Revit to calculate the totals of each. Probably far more complicated! Yes, you can do this with calculated values in tags. The parameters and tag(s) could get a little complicated depending on how many species you needed to associate with each area. For mixes, I keep my plant species separate from the areas. I’ll plan on doing a blog post soon about this!